Is there anyone who doesn’t love chocolate? Believe it or not, there’s a whole week in NYC that is dedicated to the rich tasty dessert, chocolate. The main event of the whole week is known as The Big Chocolate Show! This 2-day tasting event had main stage demos and classes taking place throughout the day. 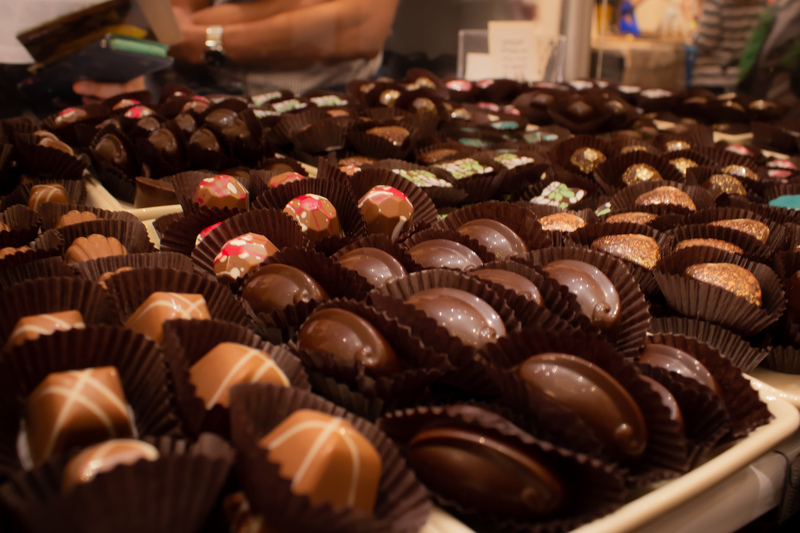 Now its third consecutive year, the Big Chocolate Show is an amazing showcase of sinful, creamy indulgence. More than 200 chocolatiers, artisans, chefs, authors, purveyors and experts from around the world offering chocolate tastings and ticketed master tasting classes throughout this mouthwatering and festive weekend. Hopping from table to table, I must have jumped a couple pant sizes, trying different treats and stuffing myself with each bite. 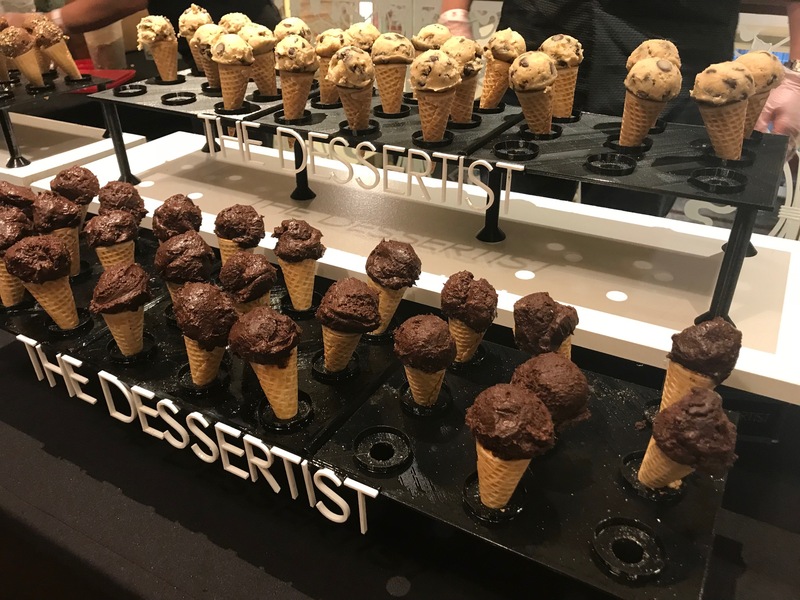 Some of my favorite goods were Cookie DOH Cones from The Dessertist, which had my favorite cookie dough in an ice cream cone. Hudson Valley Marshmallow Co. had different flavors of marshmallows including salted caramel, which was to die for. Atlantic Confectionery Company had beautiful and delicate chocolate hearts. I tried chocolates with various ingredients such as ginger, lavender and quinoa. And of course, who could forget Chocolate On Maui, the Hawaiian-based chocolatier who blends exotic flavors such as passion fruits and orange bringing a little acidity and Macadamia nuts for added texture. Other memorable twists included: Euphorium Brooklyn – a local artisanal chocolate maker who blends ingredients from Japan. The surprise was a Japanese plum or ume-flavored chocolate, inspired by the story of historical Japanese scholar/ poet/ politician around 9th century, Sugawara no Michizane. It was his poem about plum tree flavor as a melancholic memory that inspired the creation. 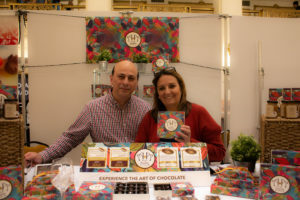 There were creative designs as well including the quirky Roni Sue’s Chocolates, whose beautiful chocolate bars decorated with dried fruits and swirled with white chocolate over dark chocolate to create swirls, reminiscent of a Jackson Pollock painting on a brick of chocolate. 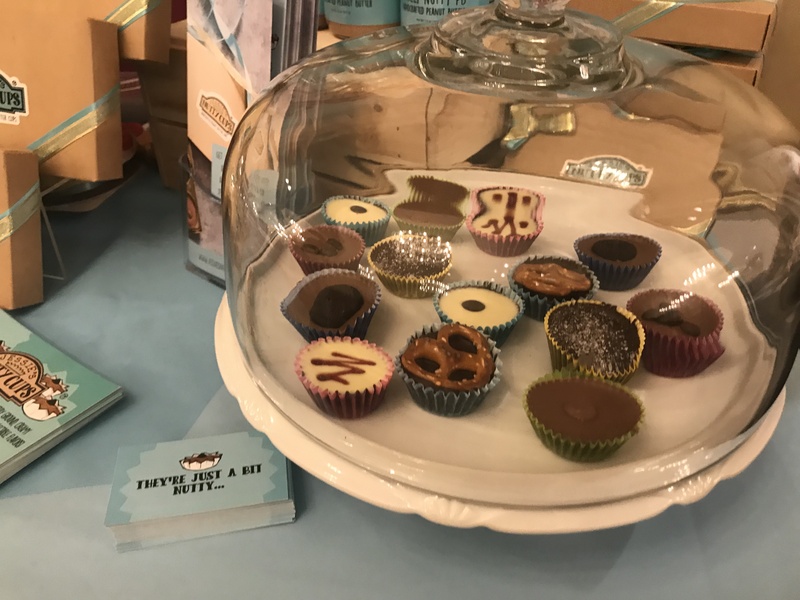 For fans of boozy chocolate delights, the Big Chocolate Show did not disappoint. 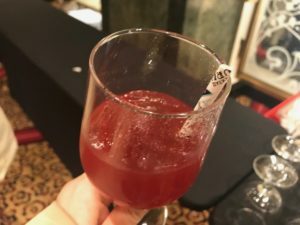 This year there is an entire 21+ section with chocolate spirits and cocktails- YUM, including the Saturday night event with the Cocktail Guru. The Cocktail Guru & The Big Chocolate Show’s Decadent Evening of Chocolate & Cocktails is a curated two-hour walk-around tasting. Guests will visit stations stocked with an array of chocolate-friendly liquor brands that are paired with a selection of bespoke desserts and dishes made by NYC’s premier chocolatiers and chefs. At the bar, chocolate purists and cocktail lovers can taste signature lines of chocolates while watching some of NYC’s finest mixologists shake, stir and serve custom libations designed to bring out the best in each variety. This event includes unlimited chocolate, pastry, spirit, and cocktail samples. I sampled a few of Jonathan Pogash’s cocktails. They were delish, of course. 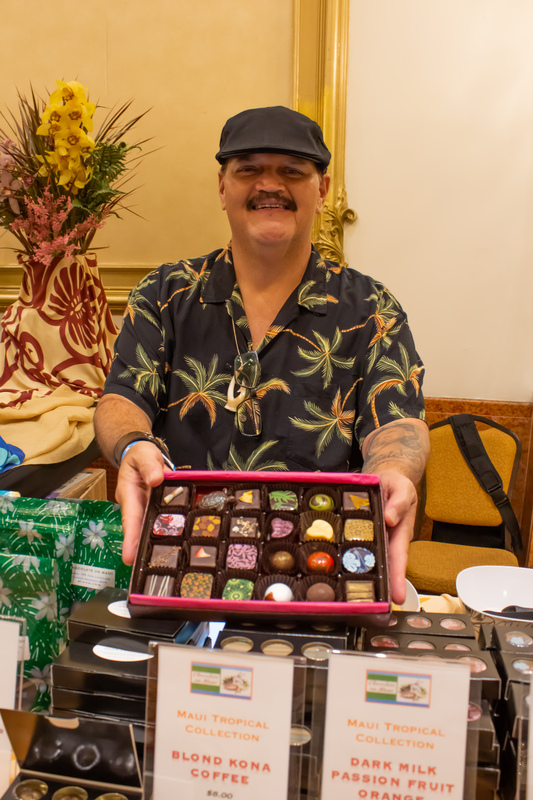 Besides the oh so delicious chocolate, there were other vendors like rum brands, a fragrance house that made chocolate scented perfume and massages! It was quite a day of pampering! Kei Hayashi contributed to this article.